Happy Friday! October has definitely flown by and I can't believe Halloween is next week. 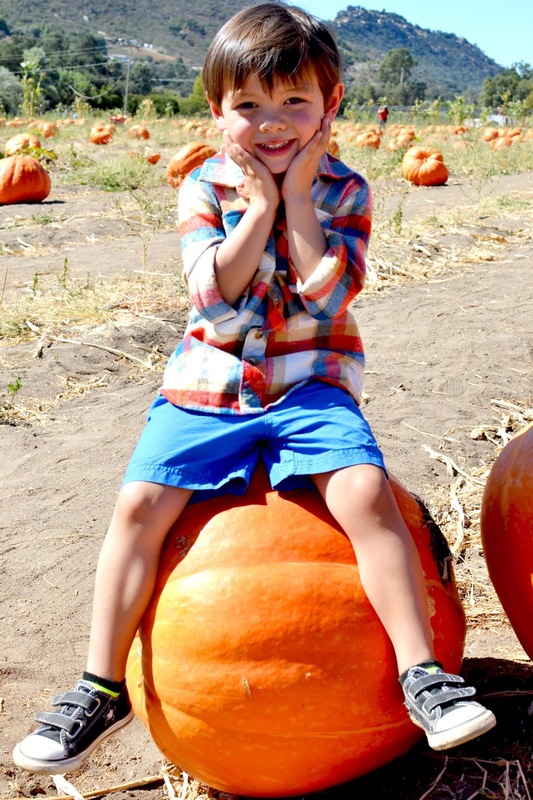 One of our favorite things to do for fall is going to the pumpkin patch with my family. It's been a tradition of ours ever since we had the boys. 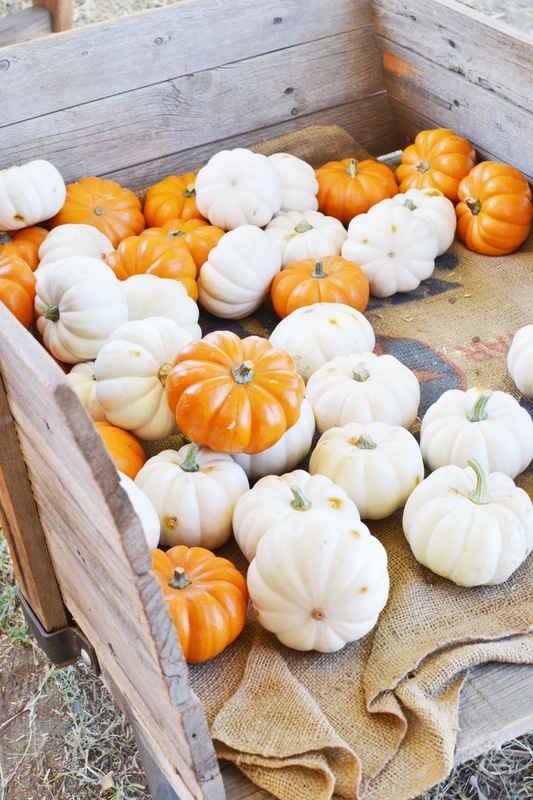 Nothing says fall like heading up to the farm and picking out some pumpkins to carve. 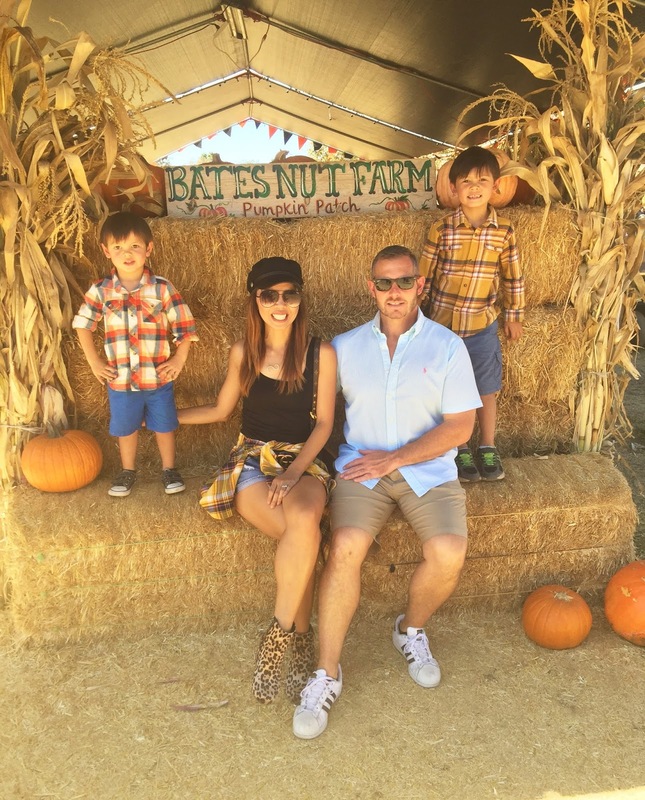 We headed to one of our favorite pumpkin patch this year which is Bates Nut Farm. 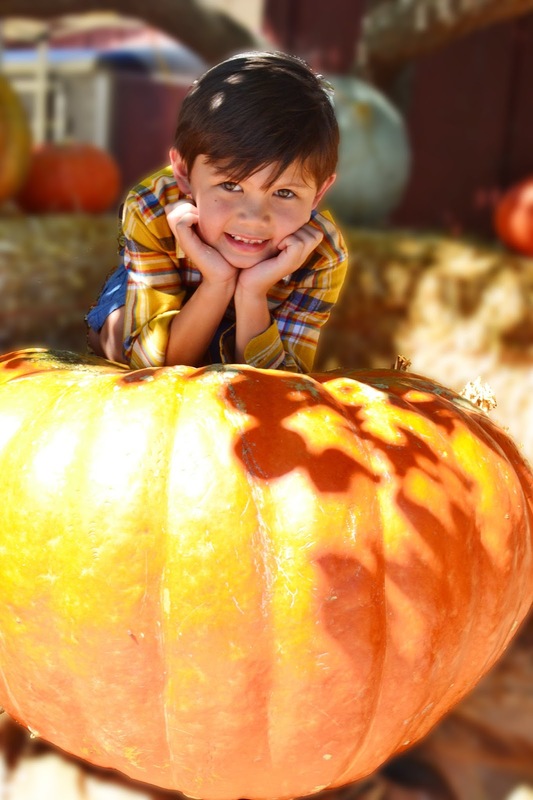 This is one of our favorite pumpkin patches because there is so much to do and off course the selection of pumpkins are amazing. 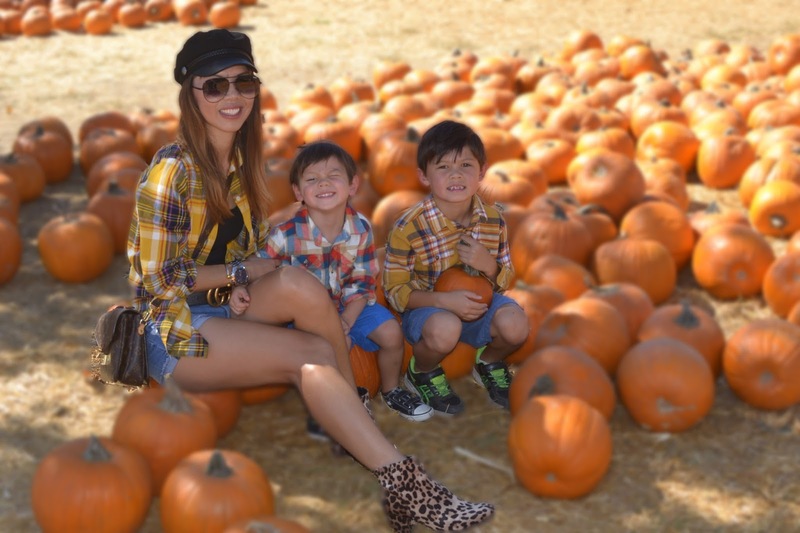 I've always love plaid and I wanted to coordinate outfits with my boys. 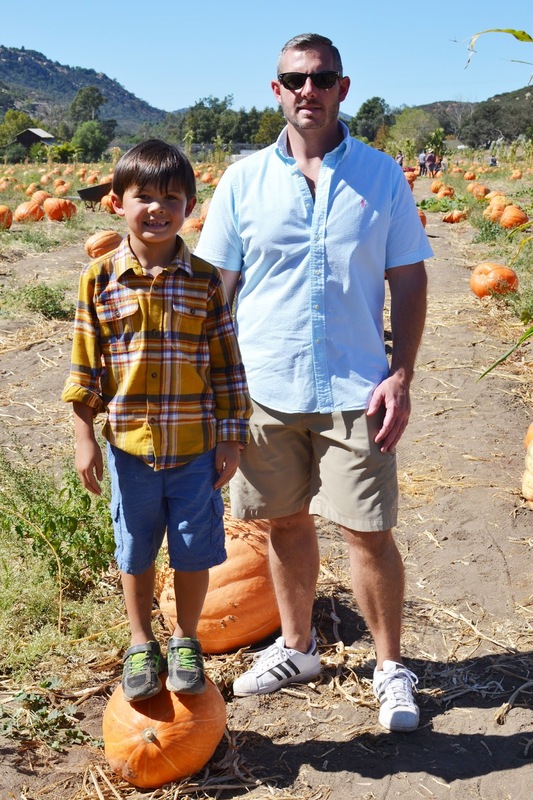 I picked out these plaid tops from Old Navy that are super affordable. 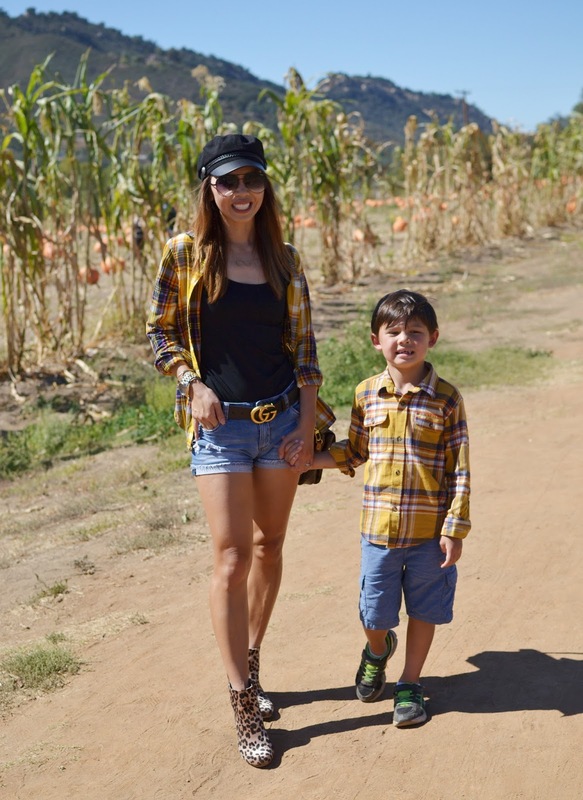 I was so happy to find a matching plaid top to match my oldest. Since having boys, I have to get creative when I try to put matching outfits together. 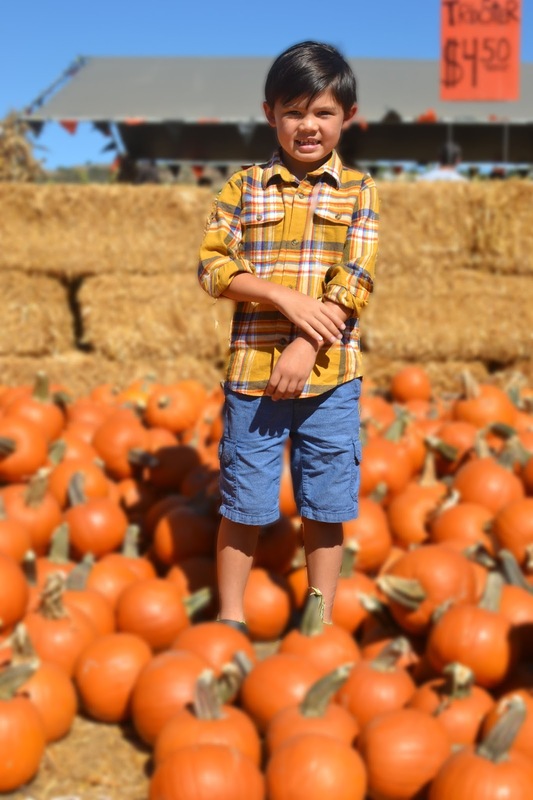 Nothing says fall like pumpkins & plaid right? It was one of the hottest weekend in San Diego and continues to be this week. It was almost 90 degrees so we were all wearing shorts that day. I also wanted to wear my favorite leopard print boots which are so comfy. I wore them the whole day chasing the boys around the patch. The boys were definitely tired at the end of the day and it was also definitely a challenge trying to get pictures of them. With a little bribery, we were able to capture a few pictures of them to share with our family and friends. They had such a good time checking out the farm animals and jumping in the jumper. The food was also delicious! I've always been a sucker for food trucks and I tasted the most amazing Thai food there and the kids loved the pizza and off course the kettle corn. 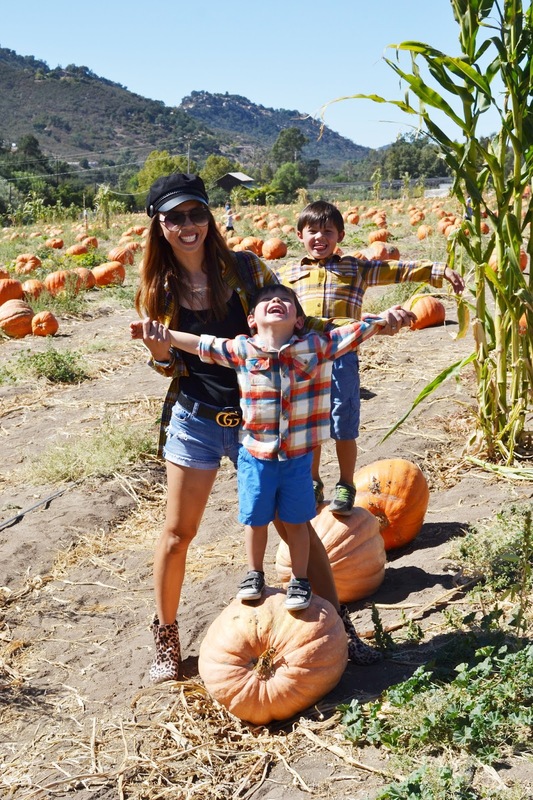 If you live in San Diego it's definitely a place to check out, I highly recommend visiting Bates Nut Farm there definitely something for everyone, whether it be finding the perfect pumpkin or just indulging in the good food trucks that are there.What are your favorite things to do for fall? Thanks for stopping by! I can't wait for the weekend!